A prophecy of old continued to burn in the embers of time; long left dormant until the Cruentus family rose above all others as darkness ascended the lands. Greed and deception were the name of the game, and Arturo Cruentus would stop at nothing as he concocted the ultimate scheme to get everything he wanted. No price was too high. The scene was set, the pieces strategically placed. The Gallo family could not come against him, and in the end Guido and Palmiria Gallo would come out the biggest losers, watching their only daughter, Emiliana, be taken away to render a debt settled. Young Emiliana Gallo, a victim of circumstance, was thrust into a world she did not understand and forced to marry a man she did not know. But what no one expected, not even Arturo, was that Emiliana and his son, Donato, would fall in love against all odds. For Arturo, love made one weak, but for his son, it was love at first sight. Donato became an opportunist in his father’s dirty schemes and did everything in his power to ensure the woman he admired for so long not only took his name in marriage, but also fell in love with him. Donato wanted it all, his gamble paid off richly, and he achieved both marriage and love. However, on the day they said ‘I do’ and the Cruentus and Gallo families were joined, Emiliana was ripped from their home like a thief in the night. An unknown force too unsettled to let the vision spill and strengthen the Cruentus family decided to do the unthinkable—double-cross the Cruentus family. Rage and disdain fuelled Donato and Arturo. Though their reasons were very different-their goal unified them. They squared off with the leader of the Russian Coven to take back Emiliana, and in the end the Russian coven paid the highest price as the leader's blood was spilled in retribution for his crime at the hands of Arturo. News spread quickly to the Magia Council, and before long Arturo was called before them to answer for his crime of murder unjustly. The Ancients of the roundtable at Mount Blanc, the mountain range bordering Italy and France, was now enacted as they listened to the tale that had unfolded. Little did they know that they were a part of the grand scheme Arturo Cruentus shrewdly planned for the ultimate betrayal. “Why don’t you don’t try to leave this place?” Donato asked, truly curious. Emiliana looked straight ahead, continuing on their walk of the grounds. She wasn’t sure there was an answer that wouldn’t make her look weak; she opted for the truth. “What lessons were those?” he countered, though what Emiliana had told him surprised him. Greatly. What warlock would ever deny their child of learning their heritage? It was unheard of. There were little moments like these when Donato could see the unstoked embers of Emiliana’s fire, and that was only in the few days that she had been with them. He wondered what she would be like had she received the magical teaching as she grew. Her father was an imbecile. She stopped at an odd juncture, staring at the nestling of trees on the property. Though the moment was brief, it was like Emiliana was a million miles away. Donato flinched. Her words sliced him deeply even if they were not intended to. This was not how Donato planned to spend his day. He needed to make her see he was not just a rich kid. A smile caused his cheeks to lift, eyes twinkling. “Perhaps you should use your magic,” Emiliana countered. With that, Emiliana could not help the smile that broke across her face. Looking up at him, she offered him an olive branch. His smile mirrored hers. After only three days he could see a smile, and he had caused it. He knew deep down, eventually she would love him. L.S. Broomfield lives in God’s country – Central Labrador, Canada. She wasn’t born there, but it’s where she and her family call home. Born and raised in Hawkes Bay, Newfoundland and Labrador, L.S. 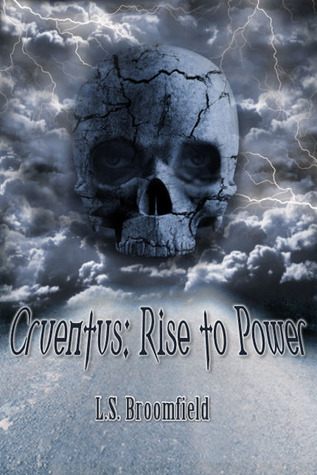 is published author who is currently working on book two of the Cruentus series, a series of tales about the Cruentus family; namely, Dragos Cruentus who who will make his appearance in the second book. She is full of talent and takes a fresh look on the paranormal world. As a child, Lisa always wanted to write. She didn’t have any predilection of what to write, as long as she was writing – she was happy. She remembers growing up and traveling to Flower’s Cove to visit family and letting her imagination soar as the pen sketched across the paper. At such a young age, it was perhaps mostly incoherent thoughts tossed across the pages but still for all, it was a desire even then to write and tell a story. As an adult, Lisa met an amazing group of individuals, and with their support and encouragement was brave enough to write and let people read the stories in her mind. While writing is one thing, allowing others to read the words one has spent hours putting to paper is entirely another thing. It opens the author wide to both praise and criticism. Lisa found it to be scary, yet wonderfully exciting. Lisa has many people to thank for helping her to reach where she is today, but none of this would be possible without the support of her husband, Shawn, and her amazing kids, Brittany, Daniel, and Jacob. These people fill her world with color and make it worth writing – they enable her to do what she loves.